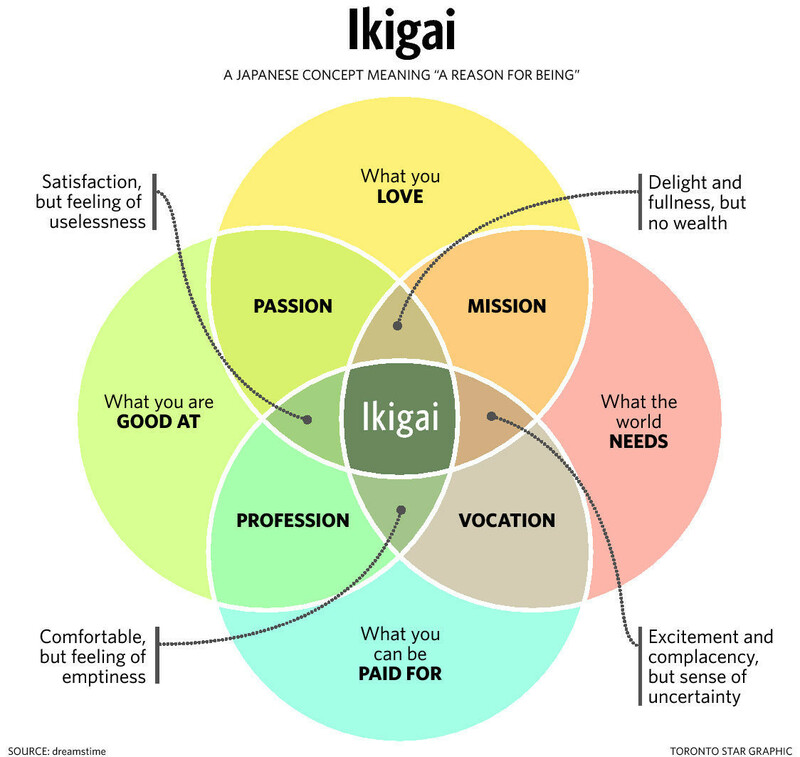 Posted on October 22, 2017 | Comments Off on What’s Your Ikigai? Comments Off on What’s Your Ikigai? I slept in a sleeping bag on a 1-inch thick foam pad in this Eureka Solitaire 1-man tent. You spend a third of your life in bed. Make it a good bed. When you’re a kid or young adult, you can sleep just fine on a couch or a pallet on the floor made from a few folded blankets. After the age of 25 or so, your body won’t appreciate that sort of treatment. You’ll sleep fitfully and wake up with scattered aches and pains. Sleep in a bed that gives you support, comfort, and peace. By no means is that the most expensive bed on the market. Back in 1981, I graduated from medical school and moved to Austin, Texas, for three years of internship and residency. My starting pay was $14,400/year. If that doesn’t sound like much, you’re right. The low pay was a hold-over from ye olde days when interns and residents were mostly young single men who actually resided in the hospital. They didn’t need a house or apartment. $14,400/year was just enough for a single guy to survive. We were working 100-hr weeks—no time for a second job. By the third year of residency, I was making $16,000-sumpin’. I was new to Austin and needed a bed, so I went to a cheap furniture store in the low-rent part of town and bought a crappy twin-size box spring and mattress, $40 I think. At least it was new—I didn’t have to worry about anybody else’s bedbugs, fleas, or germs. Good times. I upgraded as soon as I could afford it. PS: Remember those cars back then that had a vinyl-like covering over the roof? I had one of those in 1981, probably a Chevrolet or Oldsmobile sedan. It was so old that the vinyl was half gone, rotted off. One of my pulmonology attending physicians said they shouldn’t let me park that embarrassing mess in the doctors’ lot at the hospital. I think he was only half-joking. PPS: I graduated medical school with only $22,000 of educational debt. I made monthly payments for 10 years. Medical student debt these days averages $176,000. Consider that before you gripe that doctors make too much money. I’m starting a new category of posts: Advice To My Children (ATMC). My father died six years ago at the age of 83. I can’t remember a single specific piece of advice he ever gave me. Which may be a reflection more on me than him. He was a good father. I would say he taught me through quotidian action rather then with words. Allan Edward Parker, Sr., was a great provider for the family. He respected and loved my mother. He was always available and always seemed to be in a good mood. We had some great camping, fishing, and sailing adventures. My two children, a boy and a girl, will probably be leaving home in the next few years. Any ability I have to influence them will wane significantly then. For the last few years I’ve been thinking about core concepts I’d like them to remember, if not take entirely to heart. Maybe they’ll refer back to these posts when life throws them for a loop or after I’m dead and gone. Life can be hard, and we don’t get an owner’s manual at birth. We build our own manual by trial and error, learning from our elders or other reasonable adults, reasoning, observation, and through literature. Why make your own mistakes if you can learn from others’?